Mack: Tell us what you do and why you are awesome. Ian: I manage social media for Bazaarvoice. This includes oversight and content creation for all of your “usual suspect” channels, but I focus most on making sure we have a leading corporate blog that adds value and contributes to our thought leadership. Personally, I’m most active on Twitter (be3d). Bazaarvoice: We help our clients build revenue by building customer conversations into their businesses. This takes the form of hosted & moderated solutions like Ratings & Reviews, Ask & Answer and Stories. Mack: What’s the biggest misconception you think most companies have about online reviews? Negative reviews provide a more realistic view of the product to customers. They return this product less often, because they know what they’re getting and aren’t surprised by shortcomings. Companies might think that if they don’t invite reviews, they simply won’t have to deal with them. Instead, they end up having to address these reviews outside of their “home turf”, in the social web where they have far less control and influence. Letting the conversations take place on company websites makes more sense because conversations are more easily tracked, complaints are easier to address and results are far more instantaneous. Mack: Do you have any stats on how Bazaarvoice’s clients have seen an increase or decrease in sales after adding Ratings and Reviews to their site? 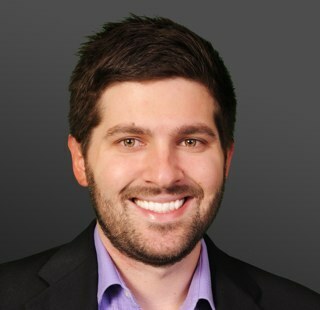 Mack: If a company encounters a ‘negative’ blog post or comment from a customer, how should they handle it? Ian: As long as the content is not ad-hominem of offensive, concerns should be addressed head on. When this doesn’t happen, you see things like the famous United Breaks Guitars video. Keep in mind that others are watching to see what is done about the complaint, so a public response is usually warranted. One of the best ways to take the conversation in a better direction is to leave a follow up comment saying that someone is going to call, email, etc., and then take the conversation offline toward resolution. This at least tells all the people watching the post that you’re taking action. 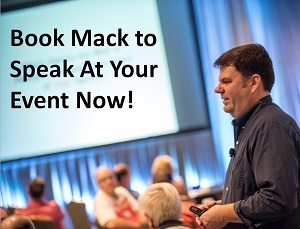 Mack: When a company encounters a comment they want to address online, should they have a ‘chain of command’ in place so certain employees handle certain comments based on topic/tone/etc, or should the employee that finds the comment always be the one to respond? Ian: Responses should be assigned out to employees by role/expertise, but locating and cataloguing negative comments should be a centralized task. Employees that happen upon them should know who to ping in order to resolve the complaint. Alternatively, companies can adopt a “respond if it’s in your wheelhouse” policy, telling employees to pass along anything they don’t feel comfortable responding to (or don’t have the knowledge for). Either way, centralized records should be kept and incident data trended over time. Great information once again from Ian, and really helpful advice on handling negative blog comments and the power of online reviews and rankings. As Ian shows above, clients that use ratings actually benefit, as do companies that handle negative comments correctly. Thanks again Ian, and please follow Mr. Greenleigh on Twitter at @be3d. I can’t thank you enough for sharing these stats with your readers. Those of us who have clients who are a bit leery of using product/service reviews will find this post invaluable and a persuasive tool in a variety of situations with executives. Thank you Lisa! I love Ian’s point about how companies can’t just ignore online feedback (especially criticism) from customers, and that other customers are WATCHING to see how the company handles it. Too many companies have the mentality of ‘if we ignore it, it will go away’. Glad I can help. Let them know, too, that upwards of 80% of product reviews are positive, so chances are they’ll end up looking good.